← The NEW YORK CRICKET LEAGUE Is Back! 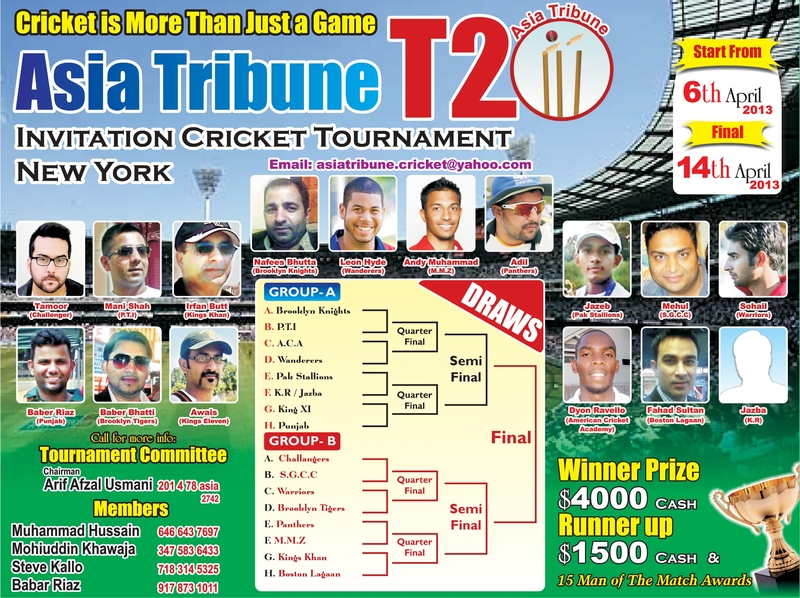 Asia Tribune T20 will open the spring proceeding for 2013. The pre-season chiller has attracted 16 teams, not only for the New York area but also from New Jersey and Boston. Each team will be playing finals night from ball one during the Knock-Out Tournament. This entry was posted in Headlines, News and tagged Academy Cricket Academy, Asia Tribune T20, MMZ, Panthers, Punjab. Bookmark the permalink.